Treatment will be brought to the patients and patient data will be centralized, “turning hospitals into data centers,” a telco equipment maker says in a recent report. Ericsson, in its 2017 Mobility report (PDF), published this month, says patient treatment will, in the future, no longer be performed in hospitals located far from patients’ homes, but performed remotely through new 5G wireless radio. Wearables will be among the tools used for keeping an eye on folks’ health and dishing out medication. Diagnosis will be accomplished through online consultations, and robots will remotely execute surgeries at nearby healthcare clinics rather than far-off hospitals. Ericsson is a mobile technology company actively involved in 5G wireless development, which it’s pitching at Internet of Things (IoT) uses. It says IoT devices in general will increase at a Compound Annual Growth Rate (CAGR) of 21 percent between 2016 and 2022 and that there will be 1.5 billion cellular IoT devices by 2022. That’s partly because of 5G. This vision of decentralized healthcare is an example of something that could be driven by next-generation wireless networks, the company pitches in its report. A good thing: Patients are demoralized by the costs and inconvenience of medical attention, Ericsson points out, yet hospitals need to reduce costs. 5G devices, with low power consumption of possibly up-to-10-years battery life, along with new-found, low-latency that is expected to become possible with the millimeter frequencies in the spectrum used, could deliver haptic feedback. That might be good enough to supply a sense of close-to real-time touch for surgeries. 5G latency rates could be a single millisecond—compared to 4G LTE’s 50 milliseconds, Ericsson explains. Additionally, 5G, with its possibly fresh approach to security, might be more watertight than existing communications channels and thus better suited to healthcare. 5G’s rollout, coming commercially as early as 2020, is “due to provide 10 to 100 times more capacity than 4G,” according to Ericsson. Interestingly, though, the 5G tech could encounter trouble, according to a consultant. It isn’t all about wireless, consultant Deloitte says. For 5G to achieve its suggested blockbuster status the U.S. must invest in fiber, of which there isn't enough..
“The success of 5G wireless will hinge on deep fiber,” the company says in a press release. Networks in the U.S. don’t have the “fiber density” to cope with the bandwidth demands of future 5G applications, Deloitte says. One issue is that the nature of shorter-distance millimeter spectrum is that it needs more cell sites. They need connecting. “Without more deep fiber, carriers will be unable to support the projected four-times increase in mobile data traffic between 2016 and 2021,” Deloitte says. (Ericsson’s latest projection is a 33 percent compound annual growth rate for U.S. mobile data between 2016 and 2022). 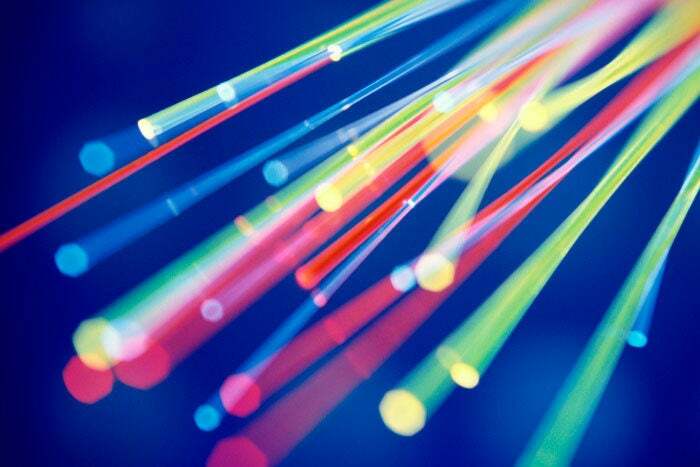 It will take “an investment of $130 billion to $150 billion in fiber infrastructure over the next five to seven years to adequately support broadband competition, rural coverage, and wireless densification [needed for 5G],” Deloitte says. So, 5G might not be as simple as the pre-marketing rhetoric suggests. Someone has to come up with, and pay for, more underlying network, Deloitte says.